Our HexArmor® Super Gloves Hercules 3041 gloves are EN388 Cut Level 5 rated and offer the highest puncture protection, full coverage and pre-curved shape for maximum comfort and protection. The gloves also have a specialized silicon gripping surface on the palm. Call us on 01257 477920 for quick demonstration and price as below. Available in 4 different sizes from small to extra large. 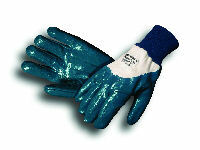 Please note these gloves are available on 3-5 days delivery. Priced per pair. Our HexArmor® Super Gloves HexaG8TW 8" Arm Guards are EN388 Cut Level 5 rated offering the highest puncture protection from needles, nails, glass, metal, splinters etc.. 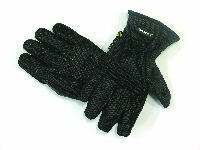 The armguards are comfortable, will not fall down like knit sleeves and are machine washable and sanitisable. 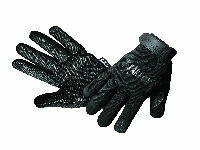 Using these armguards reduces costs as they last 10 -15 times longer than typical protective wear. Call us on 01257 477920 for quick demonstration and prices as below. Available in 4 different sizes from small to extra large. Please note these gloves are available for 3-5 days delivery. Priced per individual armguard. HexArmor® products are Cut Resistant, Puncture Resistant and Needlestick Resistant. 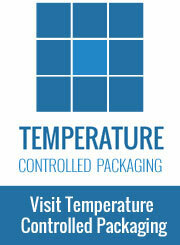 They offer essential protection to Industrial and Medical companies. HexArmor® use SuperFabric brand technology which provides protection against cuts and slashes, punctures and needlesticks. Through using SuperFabric brand technology, HexArmor® gloves offer far more superior proctection than other leading brands. We also offer a FREE Testing Service, where one of our expert representatives will come to your work place and test our range of protective gloves based on the work you carry out. 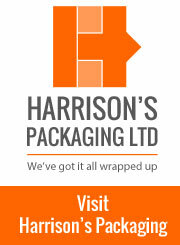 We will ensure that you are fully protected with competitive prices! These HexArmor® 4041 NSR Needlestick Resistant Gloves have the highest needlestick resistance available provided by the layering of SuperFabric® brand material, they have a specialised silicon gripping surface on palm and are also machine washable. These gloves have been tested using actual 25 gauge needles and they have the highest level of cut resistance in enhanced areas; exceeds EN388 Cut Level 5. The Sharpsmaster gloves not only have the highest needlestick resistance on the market but also the highest level of cut resistance on palm and palm side of fingers; exceeds EN388 Cut Level 5. The HexArmor® Sharpsmaster 7082 Needlestick Resistant Gloves are durable and long lasting with a nitrile coating for superior grip and liquid resistance. Made with SuperFabric brand material for the highest cut resistance available on the market; exceeds EN388 Cut Level 5 (over entire hand), these gloves offer puncture protection over the entire hand from wires, metal, wood and glass and more. The gauntlet design and pre-curved shape enables for maximum comfort and ultimate protection, with specialised silicon gripping surface on palm. 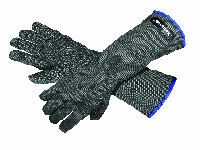 The HexArmor® Hercules 400R6E Cut Resistant gloves are also machine washable. These gloves also have the highest needlestick resistance available provided by the layering of SuperFabric brand material and have been tested using actual 25 gauge needles. The cut resistance over the entire hand exceeds EN388 Cut Level 5. The HexArmor® Hercules NSR Glove glove has a full coverage design for hand and forearm and pre-curved shape for maximum comfort and ultimate protection with a specialised silicon gripping surface on palm. These gloves are machine washable.